This article traces the history of baojuan (scroll recitation) performances in Shanghai in the period 1875–1915. Scroll recitation is a type of ritualized storytelling that originated in Buddhist preaching, but that also included secular subjects in the later period. This study demonstrates how a traditional performative art was integrated into the cultural environment of a developing cosmopolitan city at the end of the nineteenth century, and how it was transformed for the new demands of urban audiences in the early twentieth century. This study analyzes the process of secularization of scroll recitation through the growth of entertaining aspects of its contents and performance style in Shanghai. It makes use of newly discovered historical materials, including newspapers and periodicals of that period, which help to clarify many details of this art’s evolution in the modern city. 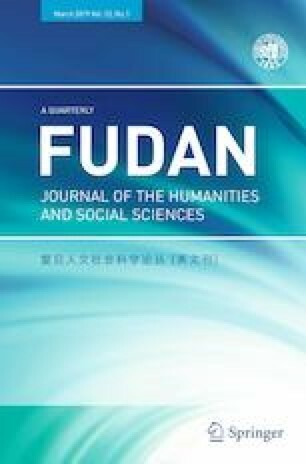 This research was supported by a grant from the State Social Sciences Foundation of China: “Survey and Cross-Disciplinary Research on Folk-Beliefs-Related Arts of the Taihu Lake Region,” no. 17ZDA167 (本文为国家社会科学基金重大项目“太湖流域民间信仰类文艺资源的调查和跨学科研究” (批准号 17ZDA167) 阶段性成果之一). The author also expresses his gratitude to Yu Dingjun, Zhang Minwei, Hu Xiaochen, and Dou Heng for providing materials and assistance during fieldtrips, as well as to four anonymous reviewers for their suggestions and to Paula Roberts for fixing many language problems.